We’d love your help. 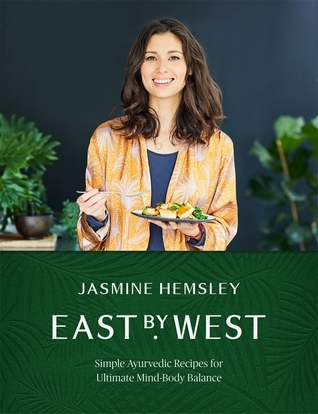 Let us know what’s wrong with this preview of East by West by Jasmine Hemsley. "For anyone with a passion for eating well, feeling great and having dessert at lunchtime! East by West is a cookbook that champions the ancient Ayurvedic philosophy of eating to nourish, sustain and repair. Bestselling author, cook and TV presenter Jasmine Hemsley continues her passion to balance body, mind and spirit – amidst the challenges of fast-paced modern life – thr "For anyone with a passion for eating well, feeling great and having dessert at lunchtime! East by West is a cookbook that champions the ancient Ayurvedic philosophy of eating to nourish, sustain and repair. 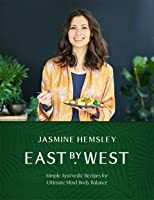 Bestselling author, cook and TV presenter Jasmine Hemsley continues her passion to balance body, mind and spirit – amidst the challenges of fast-paced modern life – through a love of real food and simple home cooking. Ayurveda (or the 'Science of Life') was the inspiration behind Jasmine's pioneering Mayfair pop up cafe, East by West. The 5,000-year-old holistic concept has since been tipped in the Sunday Times list of what's hot for 2017. This book includes 140 recipes and easy tips to help you find out the best time to eat and sleep for your body type, as well as thorough guidance on foods and practices to keep you feeling great throughout the day. With simple mindful rituals and a classic cleanse to revisit when your energy levels need a boost, this is Ayurveda for the modern world. With beautiful colour photography and illustrations, this book brings Ayurveda to life in a fresh and friendly way. Jasmine’s recipes, inspired by the delicious dishes from her pop up cafe, are a modern take on Ayurvedic principles, combining the indulgent, confident flavours and ancient wisdom of the East with high-quality seasonal produce available on our doorsteps. From Chestnut Crepes with Chai Vanilla Plum Compote to Sesame Roast Chicken, this book has nutritious recipes to satisfy every taste. To ask other readers questions about East by West, please sign up. I heard the author Jasmine Hemsley taking about this book on Desert Island Dishes so when I saw it at the local library I picked it up for a read. It has some lovely recipes and also explains the principles of leading a heathy Ayurveda lifestyle in simple easy to understand terms. Absolutely love this book! Beautiful, easy to follow recipes.